The privacy this property offers is amazing! Wooded property next door is protected, no fear of someone building. 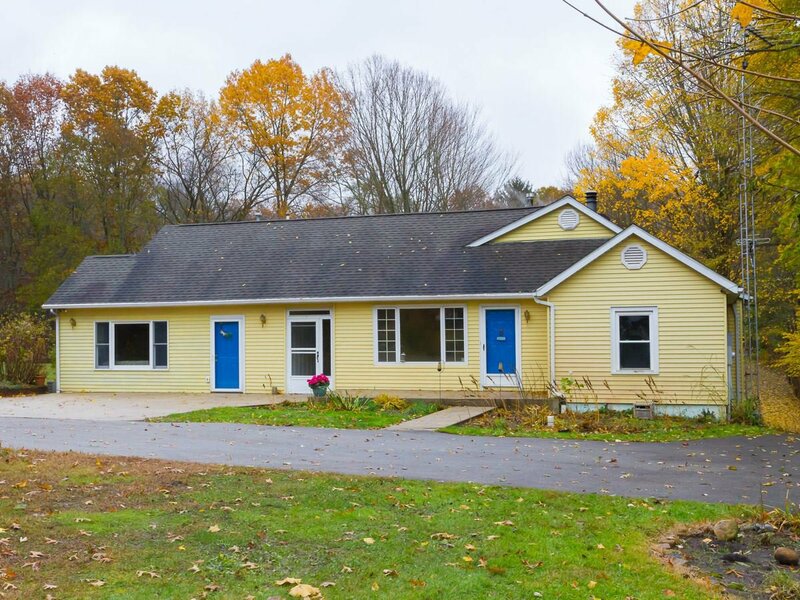 This ranch with full walk out basement will surprise you. Looks like a typical ranch home, when you enter the property, then you see the additional features you don't expect. The back of this 2.5 acre property has a 80' dog run and a handyman's dream barn - complete with heat, insulation and plumbed for a bathroom. An additional play house in the back is perfect for kids or an artists studio. Due to drastic price reduction, property to be sold as is. Listing courtesy of Berkshire Hathaway HomeServices Northern Indiana Real Estate. Selling Office: Cressy & Everett - South Bend.